Heute: OpenText™ Webinar: "What's new with OpenText Media Management 16.5?" - Open Text Web Solutions Usergroup e.V. 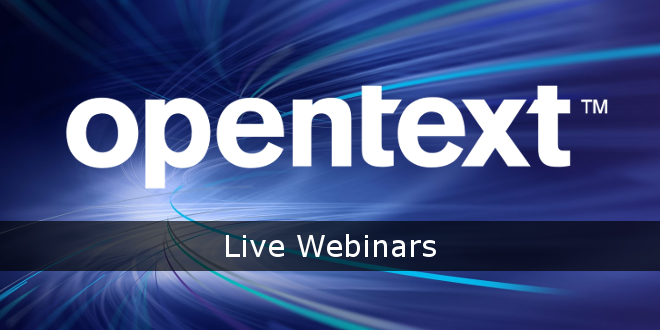 Heute: OpenText™ Webinar: "What's new with OpenText Media Management 16.5?"